GRC Turns heads around the country and WINS(!) 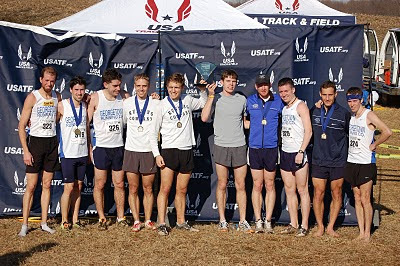 the USATF XC Championships in Derwood, Md. 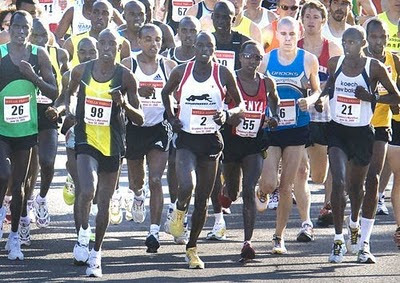 GRC hosts first annual GRC 5k Invite. Unfortunately Bert bests Klim, Reaves and Diego. However, Klim and Reaves PR. Diego goes from 5th place to 2nd in the last lap at the Terrapin Invite and runs 15:03 for 5k. After missing all of February due to injury, Chris Bain runs 2:36 at Boston...then, 5 days later, against all odds, runs 2:31 halfway around the world in Seol, South Korea. Bain's second place finish makes him a millionaire in Korea. 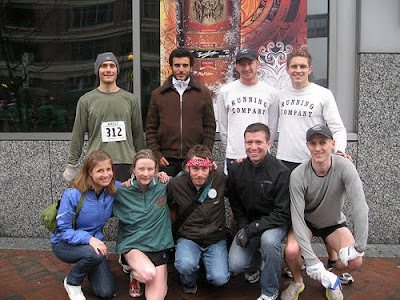 GRC places 4th in heavy competition at Broad Street Run in Philly. Chris Raabe becomes the 1st American in 12 years to win Grandma's Marathon with a PR, and Olympic Trials Qualifying Time, of 2:15! The Beastman is a Beast! 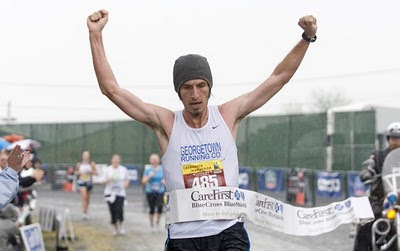 Dirk runs 24:45 and 15:02 for 8k and 5k respectively in Twilight Races on warm summer evenings. 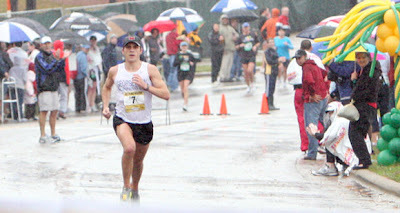 Karl Dusen wins Ryan McGrath Memorial 5k in 15:06! Dirk finishes 12th at World Duathlon Champs! 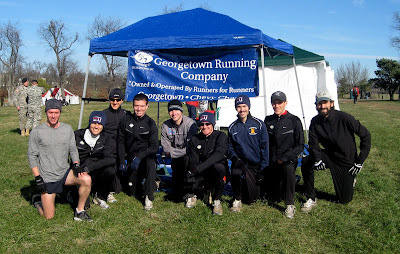 New to GRC in 2009: Jake Marren, Chris Sloane, Chix Tender Runner, Karl & Emily Dusen, Dirk De Heer, Joey Wiggy, Mike Smith, Charlie Ban, Neal Hannan...and others? Finall, please remember to update your 2009 race results HERE. These results should refelct races you ran while running for GRC. Okay, so that is not everything. But damn that post took awhile to compose!! Feel free to "comment" on other 2009 accomplishments. There were a lot and I tried to cover most. Here is to an even better 2010 (raises half empty scotch glass)! GRC won the team title at Jingle All the Way 10K! Team comprised of 3 male runners in the top 10 and 1st female overall! Fantastic Year by all. Congrats!